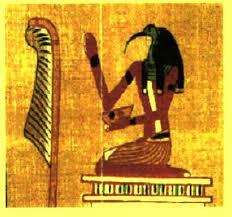 Tehuti (Thoth, Djehuty, Tahuti, Tetu) was one of the earlier Egyptian gods. He was popular throughout Egypt, but was particularly venerated in Khnum (Hermopolis Magna) where he was worshipped as part of the Ogdoad. As the power of his cult grew, the myth was rewritten to make Tehuti the creator god. According to this variant, Tehuti (with His head in the form of an ibis, one of his sacred animals) laid an egg from which Ra (Atum, Nefertum, or khepri) was born. Other myths suggest that Tehuti created himself through the power of language (in an interesting parallel to the phrase in the Gospel according to St John “in the beginning was the word, and the Word was with God, and the Word was God”). His song was thought to have created eight deities of the Ogdoad (the gods Nun, Heh, Kuk and Amun and the goddesses Nunet, Hauhet, Kuaket and Amaunet). A very well known image of Tehuti, the ibis headed Black man. Tehuti (also Djehuti), the lord of Khemmenu, self created, to whom non had given birth, is the Neter responsible for teaching the world to write and record information with the Medu Neter system. From many Funerary texts, it’s known that Tehuti was the Neter of all the arts and sciences, that he was the “lord of books,” and the “scribe of the Neteru”, and “Mighty in speech”. “Now Auset had to begin her search once more. This time she had helpers, for Nebthet left her wicked husband Set and came to join her sister. And Anpu, the son of Ausar and Nebthet, taking the form of a jackal, assisted in the search. 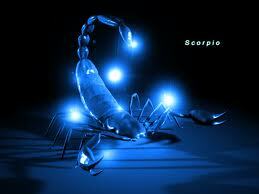 When Auset traveled over the land she was accompanied and guarded by seven scorpions.” See here. Tehuti was the principal deity of the city of Khemnu/Kemenu, which the Greek called Hermopolis (the City of Hermes). According to Kemet legend, the temple of Khemnu housed fragments of the cosmic egg that Thoth himself as the divine Ibis, had hatched on the Island of creation, from the egg the first Sun had risen. Tehuti brought the idea of creation into existence by uttering the thoughts of the creator; Ptah then put those spoken words into effect. Tehuti was deemed the mind behind cosmic order, the architect of the universe. Tehuti’s association with the creation myth also extends to the divine birth of the pharaohs themselves. Tehuti was said to lead Amun, the king of gods, to the bedchamber of the waiting queen. When all of your thoughts, feelings, and actions reflect the Word of God, then the power of God’s spirit and a peace that nothing can challenge will flow through your being. If we can intuit the Word of God by cultivating our ability to be at peace in situations of challenge, why give in to anger, fear, lust, etc.? If we have access to the Word of God (wisdom) which is superior to our own minds, why rely [only] on our [own] minds? TEHUTI – THOTH (- HERMES): god of scribes, science, magic, time medicine, reckoning, cults, wisdom and the peace of the gods. The companion of MA’AT. 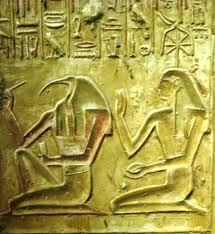 The meaning of Tehuti’s name (“DHwtii” or “Djehuti”), represented by the hieroglyph of the Ibis, is unknown. European Egyptologists propose “he of Djehout” (an unknown location), “he of the castle of speech”, “he who speaks in the temple”, “he who selects”, “he who chooses”. He has an accumulation of titular names.